Salt Lake City Air Conditioning, Furnace heating and Ventilating Contractors serving all your HVAC needs for 30 years. Our 30 employees provide timely and efficient services to our customer and client bases, including all of Salt Lake City Utah, Park City UT & the Wasatch Front areas for Furnace Heating, Air-Conditioning, Service and Duct Work installation, repair and maintenance. Established in 1982, SCS Sheet Metal, Inc., has been dedicated to serving Salt Lake City and the entire Wasatch Front areas of Utah, as well as Idaho, and Wyoming. Since our inception, we have enjoyed a strong growth in the communities by providing our customers with great service at a competitive price for a broad spectrum of Furnaces and Air Conditioning equipment and a variety of furnace unit repairs. We currently have a workforce of experienced employees, which enables us to provide timely and efficient services to our customer and client bases for all the mountain west areas, for Heating, Ventilating, Air Conditioning, along with all our new construction mechanical HVAC system installations. The main strength of SCS Sheet Metal is our highly experienced and educated employees, specialized and trained in the heating and air-conditioning industry. By hiring the most competent and educated employees available, we have been able to differentiate ourselves from our competitors and provide unmatched knowledge, expertise, service and value to our customers. We are currently in good standing as a member of Dunn Bradstreet, and Better Business Bureau. We continually strive to provide excellent quality and service to new customers, for our projects and our clients. We have taken pride in years of professional service with furnace and HVAC installations through out the western states of Utah, Idaho, and Wyoming. Email scs@xmission.com or follow the quick link. 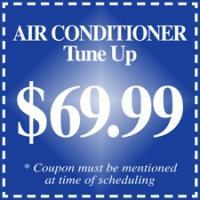 (801) 910-2022 Phone: After hour Service and Emergency contact. 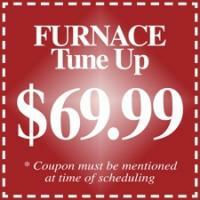 Salt Lake City, UT 84120 is where you find Furnace Installation. If you are near Salt Lake City, UT 84120 then SCS is your place for Salt Lake City, UT 84120 Furnace Installation. Serving Salt Lake City, UT 84120 for 30 years. Let this Salt Lake City, UT 84120 Furnace Installation company visit your Salt Lake City, UT 84120 home or Salt Lake City, UT 84120 business for service, install, or repair. Servicing all of Salt Lake City, UT 84120. Furnace Installation by experienced Salt Lake City Furnace heating Service and Repair company with 30 years experience in repairing furnace heating and offering Furnace Installation. For Furnace Installation in $Location} SCS is the best Furnace Installation company offering furnace heating service and repairs. SCS will repair your furnace heating, SCS will repair your furnace heating, all your Furnace Installation needs can be done by SCS. Furnace Installation with the best Salt Lake City, UT 84120 contractor. Our experience in Salt Lake City, UT 84120 Heating, Air Conditioning & Ventilating business is renowned in the industry. We are referenced as a first choice in residential and Salt Lake City, UT 84120 commercial Furnace Installation by many manufactures and building officials in Utah. We offer and install a wide variety of Furnace Installation products from York, Luxaire, Carrier, Bryant, Armstrong, Lennox, Tempstar, Day & Night, and Coleman in the Salt Lake City, UT 84120 area. No matter what type of fuel or Salt Lake City, UT 84120 heat source your home has, there’s a hard-working furnace ready to keep your family warm. Several of our main brands are for Furnace Installation, very affordable and are highly efficient. Remember, the higher the AFUE rating, the greater the unit’s efficiency and cost-savings will benefit each month on your gas and power bills. If you need Furnace Installation service in Salt Lake City, UT 84120 call us today for immediate sales and service information to assist for all our major brands of Salt Lake City, UT 84120 Furnace Installation needs.